Well, The Shark didn't play in today's Spring Training game against the Astros, in which Tom "Sloth" Gorzelanny gave up eight runs (they don't call him "Sloth" for nothing, folks). We will have more news tomorrow after The Shark shines in left field and batting lead off. 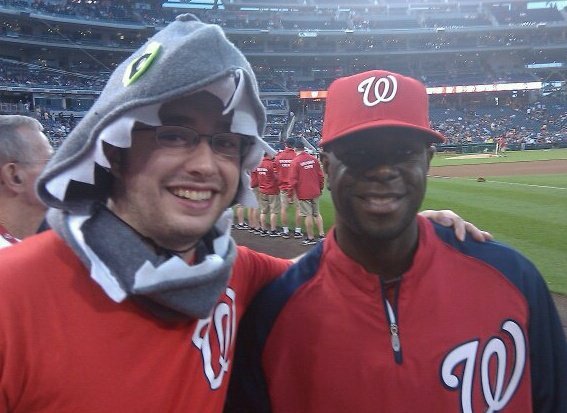 I'm personally predicting an infield single in which he beats the throw by using his Shark Speed. I would even take it a step further, and volunteer for the procedure from "Face/Off" (one of my favorite movies ) and switch faces with him. Actually, it would probably be funnier if we did a "Freaky Friday" thing. Hijinks would ensue with me playing professional baseball and Bernadina working at children's theatre! I love it, I'm going to work on that script right now and mail it to Hollywood! I would cast Will Smith as The Shark and a Shia LeBeouf-type as myself (important note: I didn't say Shia LeBeouf, just a "Shia LeBeouf-type"). 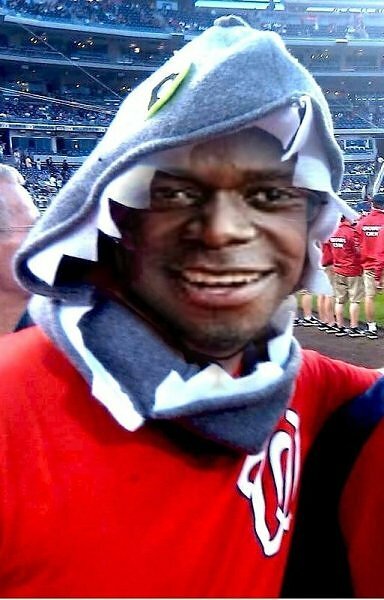 For the record, the last time we saw Bernadina, we gave him his own Shark hood. His has yellow eyes (mine are green, and Terry's are blue- that's the only way to tell us apart at games). I'd like to think he carries it around with him and is in fact wearing it in Florida right now, but he might have thrown it away. Oh well.